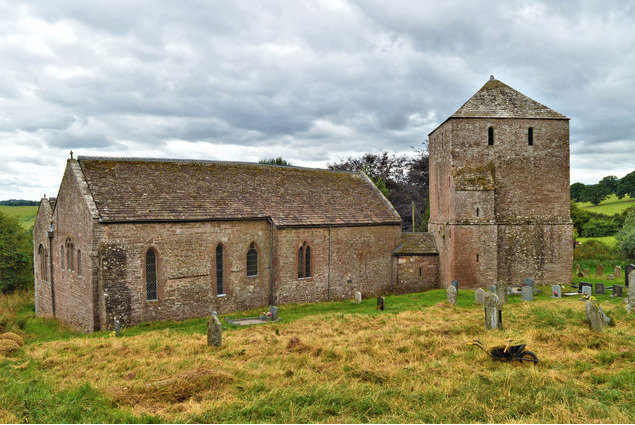 GARWAY ST MICHAEL CHURCH, in Herefordshire, lies just 10 miles west of Ross on Wye and has a long history. It is believed there was Celtic site here in around 600 AD. It was a wooden church situated in the field just above the present church. Records show a monastery here in 615 AD. The first Church of stone was built here around 1180 A.D. by the Knights Templar,after they were given the land by Henry II. The Church had a circular nave, its foundations still visible after being discovered beside the north wall in 1927.
nave in the 15th century. The circular nave was replaced with a conventional nave sometime in the 15th century. The chancel roof was constructed around 1400, and is a fine examples of the Herefordshire style of medieval roofing. Following the dissolution of the monasteries, St Michael's became a simple village Church and continues to this day. Inside is a fine Norman arch and wonderful arcade in the early English style. The church was restored in 1876. 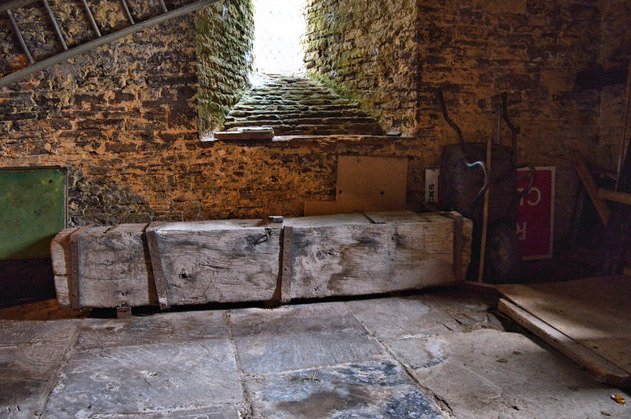 The list below shows the burial that took place at Garway St Michael, Herefordshire.